So, that’s dark and dreary January over. Thank goodness. February here may still be dreary but at least the days are getting longer in soggy England. February hasn’t gone well so far for us. Only three days old and already three bad things have happened. First, a close family member on my husband’s side has passed on. Next, we hear some other bad news, upsetting us both. And this morning, though nothing as bad, nonetheless annoying, my dishwasher decided it’s had enough and promptly went bang, knocking out the house’s electricity. The power’s now restored (hence why I’m a little bit late with this post!) but it’s back to dishpan hands and soap suds for me this weekend. (Dave, where’s the handcream?) One bright start to the month was having a lovely lunch with Tricia. 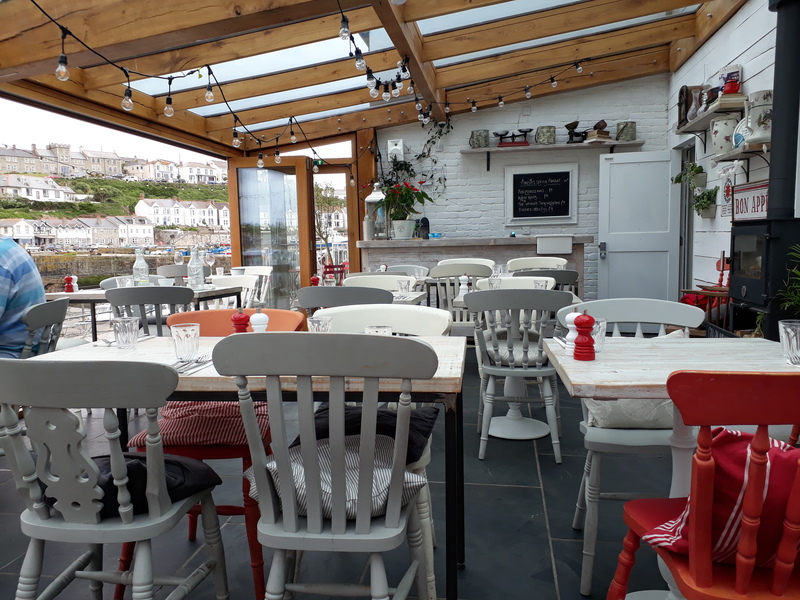 The okay food was more than made up for by the company, conversation and laughter – it’s the reason why we meet, after all. Thank you, Tricia. Looking forward to the next time. 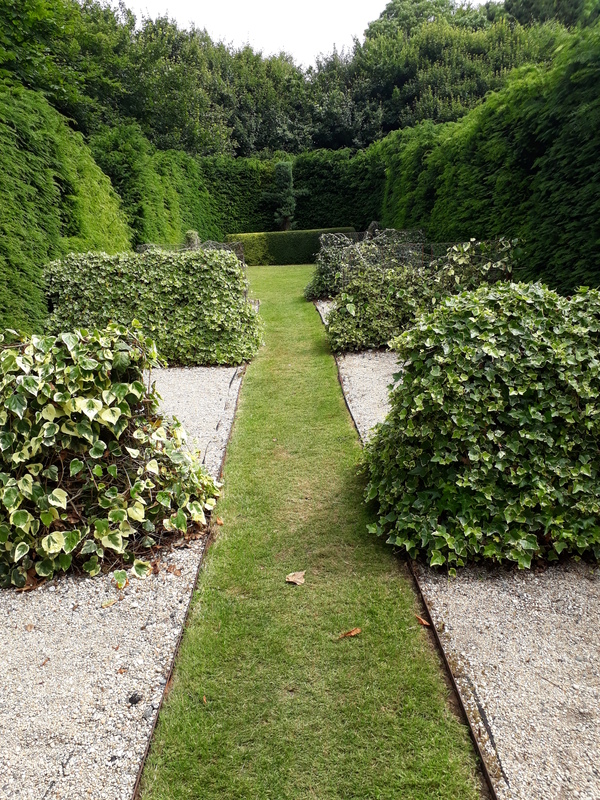 It’s been so wet, cold, windy and miserable here in Britain, that it’s been impossible to do anything for the last three months in the garden to restore it to normal after last November’s major overhaul. Instead, we’ve filled the house with flowers and bulbs, rooms filled with the scent of hyacinths and the amaryllis a giant at over 3ft tall with three magnificent blooms. The gardens are now springing back into life. (Pun there, did you notice?) The front lawn a riot of snowdrops and crocus and first of the daffodils in flower. Out back, primroses are brightening the pond and the hellibores up and coming. During the dark days of January, I’ve been plotting and planning and ordering new plants. I want the garden to be a blaze of colour this summer, in fact all year round if I can achieve it, and if the winds don’t take it all down. I mentioned last time the birds are returning. I was so pleased, until… Last weekend was National Birdwatch Weekend in Britain, organised by the RSPB. As several of our birdfeeders were damaged, we bought new ones and stocked up with plenty of bird feed and treats. I was looking forward to spending a happy hour or so watching my delightful garden visitors. I think the birds must have known something was going on as both Saturday and Sunday, not one single bird arrived. 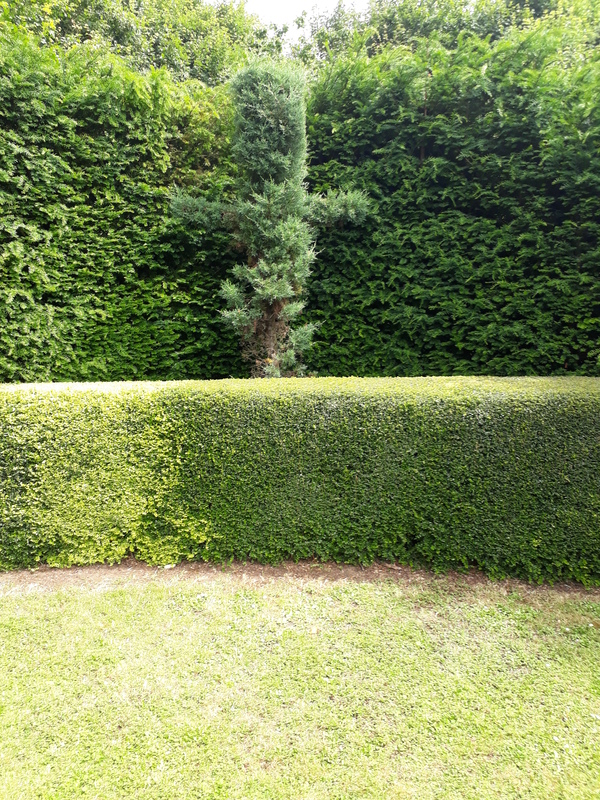 It wasn’t just in my garden either. 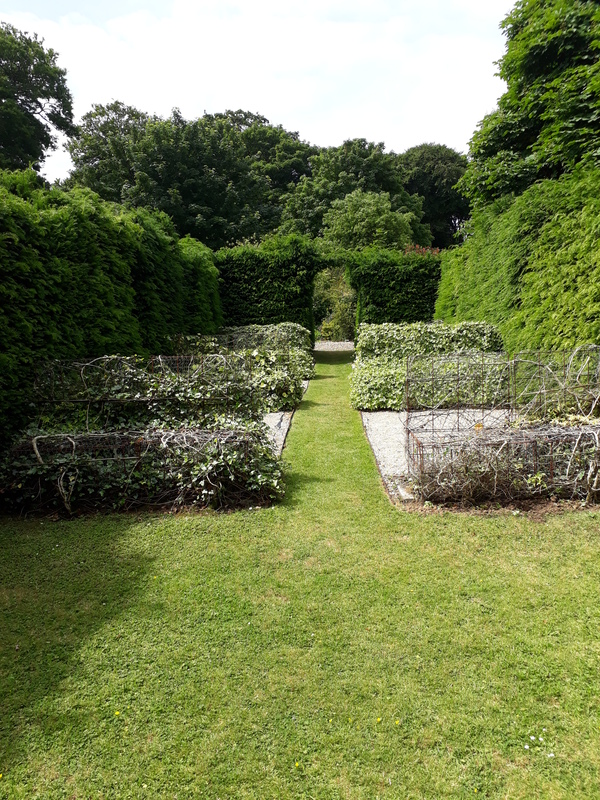 For some unexplained reason we saw none in other gardens, or in nearby trees, and none flying overheard except one solitary gull, and they don’t count. Low and behold, this morning they are all back, so I’m one happy bunny again. PS: I was just about to publish this post when I received a bit of good news which has also cheered me up. Hope you don’t mind me sharing it with you? What does the new year hold in store for me, I wonder. Certainly hope a better one than that just gone. It was a year of change and adjustments mainly centred on the man in my life: Dave underwent major surgery last April, then cataract ops (the second eye being done next Monday) and back in July he finally retired from work so lots of adjustments needed there on both parts but it has been lovely having him home. He told me the other day he’s enjoyed every minute of it so we must be doing something right. And even though my health hadn’t been top form, it wasn’t all bad and I did manage to get away for a week abroad to visit my brother for his 70th birthday. Talking of holidays and birthdays, Dave is 70 in February and it’s our 40th wedding anniversary later in the year so we are planning a holiday once he gets his passport. His retirement gift from his boss was a four-figure holiday voucher so we are discussing where to go whilst waiting for the holiday brochures to arrive. This will be his first holiday for 20 years. We’re not into big celebrations or parties but we’ll come up with something to mark both occasions in our own little way. Also looming is my first public art exhibition scheduled for May. I took the plunge last summer and joined an art group. There is no tutor, we do our own thing in our own medium. Some are leisure painters, others qualified and skilful in their craft. I still feel a little like the new girl in school and yet to learn everyone’s name but the discipline and concentration of being in a dedicated art group for a couple of hours each week is proving beneficial. The advice and support both received and given is beyond value and I’ve learnt a lot. So I’m busy deciding which pieces to exhibit and the best way to frame them. I had the two works below lined up but they’ve sold, which is wonderful. Meanwhile, I’m trying to decide what to paint next. Dave suggested I paint the walls in the lounge. I don’t think he’s got the hang of this art business yet! But yes, we do have redecorating to do downstairs this year. There’s a fireplace we want removed, wallpaper to strip, walls replastered (and painted), ceilings repaired and oh dear, I have to start sorting out cupboards and decluttering as all the furniture and bits in the lounge and dining room will need to go into commercial storage as we have no garage and no room upstairs. What else…? Oh, did I tell you I have novel due out in the next month or so? No? Hopefully, yes. And maybe one or two more during the year. Depends on how well everything goes, that’s if I can find the time between the paintbrushes and the garden spade as there’s lots to do outside as soon as the weather warms up. Roll on Spring. I did notice this morning through the rain that the snowdrops on the front lawn are in bud along with several hellebores, the daffodils are poking through and for the past week we’ve noted we’re drawing the curtains later and later of an afternoon so perhaps Spring isn’t so far away after all. I HOPE 2018 PROVES TO BE PEACEFUL, SUCCESSFUL AND EXCITING FOR YOU TOO! 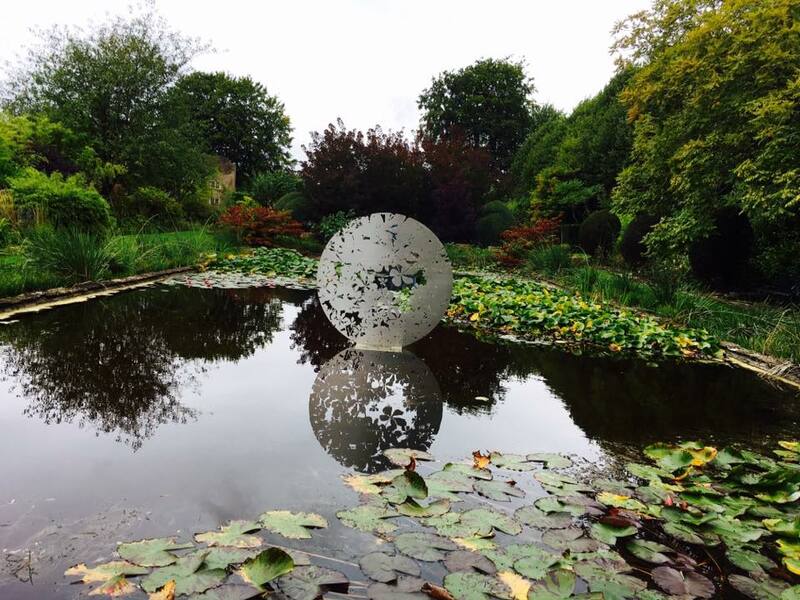 September has been a busy, interesting month with another week in Bristol, a day at the seaside, visits to a garden exhibition and a beautifully restored National Trust House plus seeing two movies. On top: lunches with friends, book club, yoga and singing, also your support, all helpful positive things to relieve some of the fatigue which is improving slowly. I keep telling you all how lucky I feel, not complacently I hope. Sublime may seem a strange heading for a blog but it has different meanings, my use refers to art, architecture and inspiring achievements. Ridiculous is obvious although as you will see it held a few surprises! 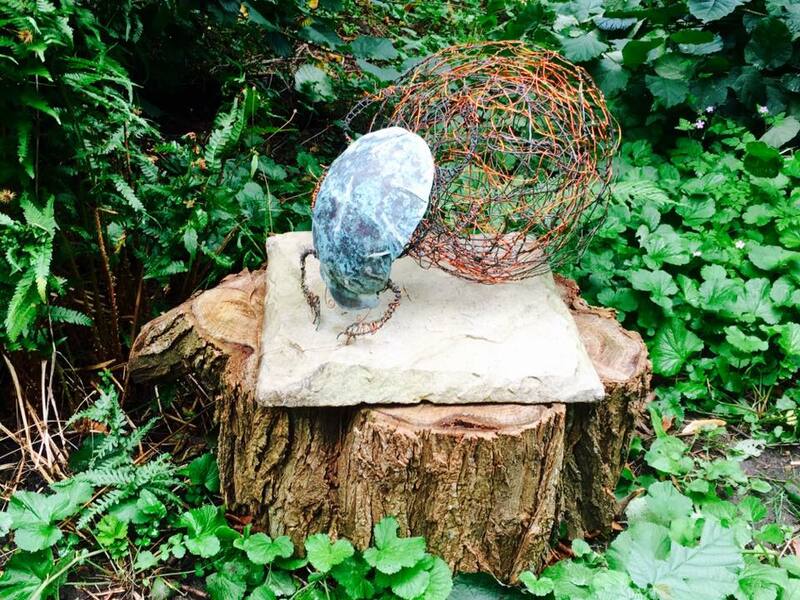 My first example was an exhibition of sculpture in a local National Trust garden. 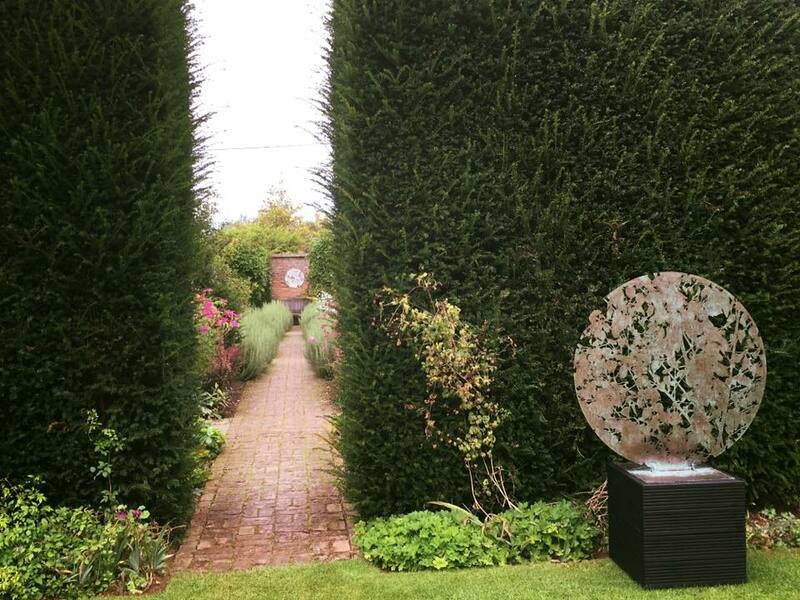 I shared an exhibition set here with you last year of stained glass flower sculptures but this time was very different. Several of the metal pieces were awesome and delicate, others were ridiculous. The setting enhanced the work too. 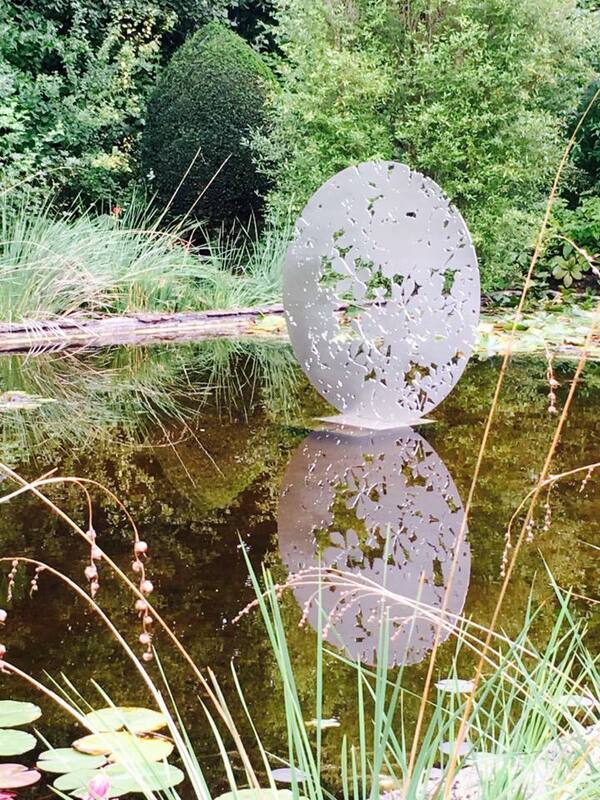 I could not find what technique the artist used to create the sculptures and ran out of time sorry. I hope you enjoy the images I’ve included. My week in Bristol was based in a different part of the city, more multicultural and I met some fascinating characters on my journeys into the centre by bus. As I mentioned last time I love Bristol, the highlight was visiting St. Nicholas Market with my grandchildren and all eating different street food from various countries then sharing them. Memories of the day remain and I cherish them. 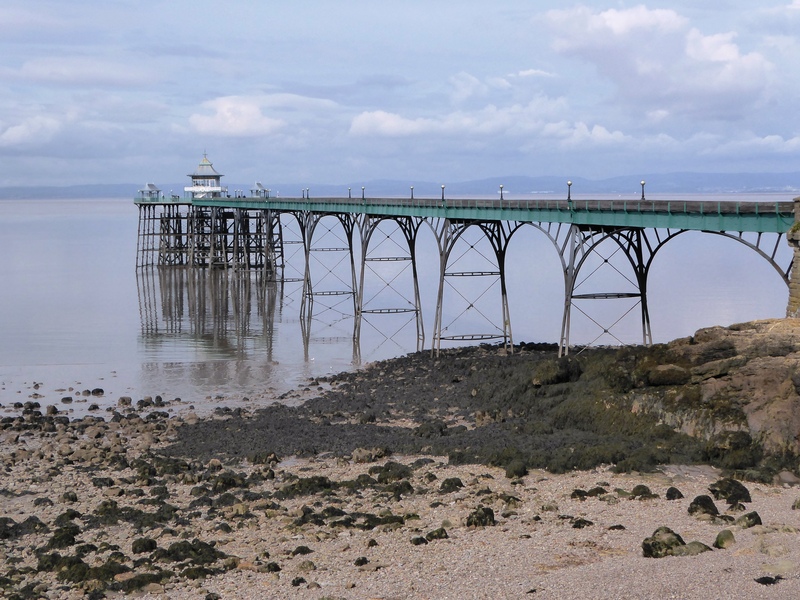 I visited Clevedon with a friend to photograph the pier which was a feat of Victorian Engineering. Boats still pick up from the pier to take visitors along the North Somerset Coast, a trip I am determined to make. The houses epitomise the wealth of past eras, some from trade in Bristol and people becoming upwardly mobile. Sunshine made the day more enjoyable with the reflections from the water and feel good factor. 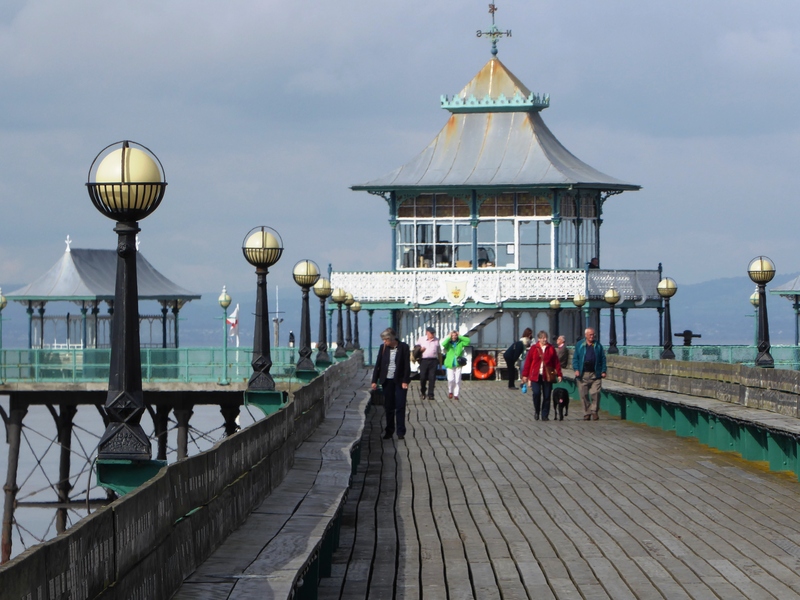 I hope the photos help you to capture the beauty of Clevedon Pier. 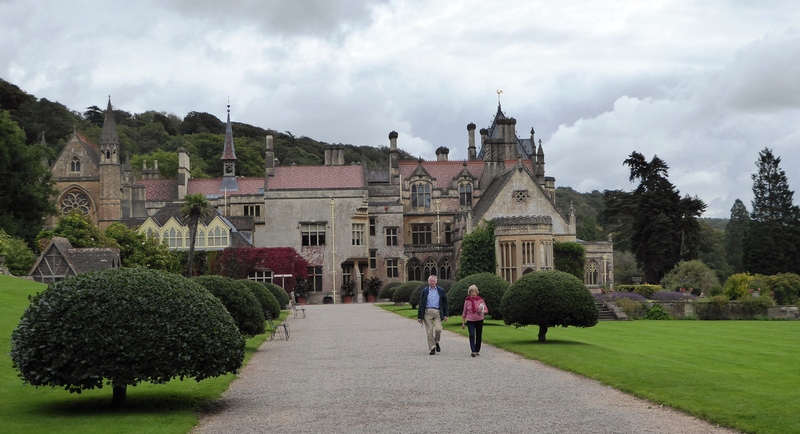 We moved on to Tyntesfield, a Victorian country house and estate lived in and expanded by four generations. I originally visited 10 years ago and the changes were amazing. The interior of the house reflected the Victorian interests in art, technology and innovation. Many original pieces of furniture remain all beautifully restored by National Trust experts and volunteers. Unfortunately, we ran out of time to visit the gardens but did pop into the Church which was a history lesson itself. Two photos give a glimpse if you are ever in this part of the world. 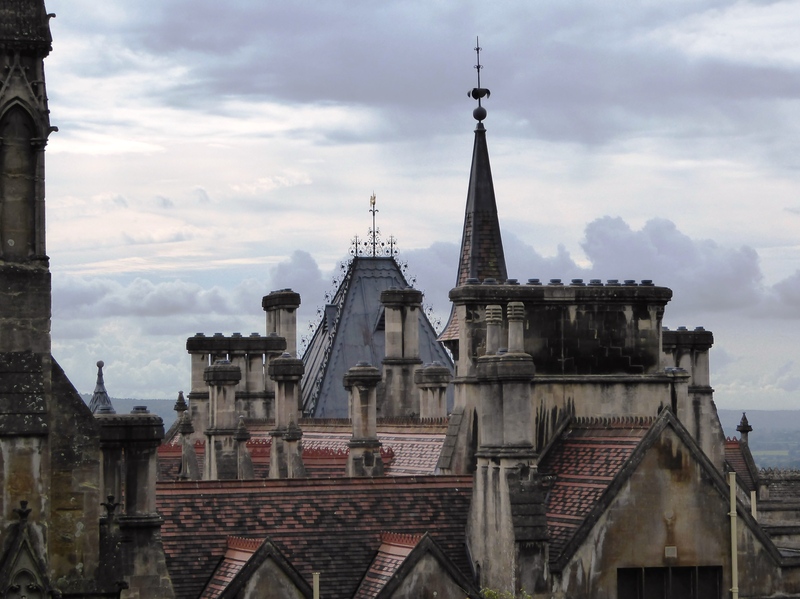 Tyntesfield would be on my sublime list. Finally, the ridiculous. By chance on our wanderings with my son and family we came upon an exhibition in the Centrespace Gallery which houses temporary exhibitions. Umbrella Covers were the subject of this fascinating exhibit. Nancy 3 Hoffman Director and Curator of the Umbrella Cover Museum hosted our visit. Nancy 3 is the current Guiness World Record Holder for Umbrella Covers. Her home and museum are on Peaks Island, off the coast of Maine. A true eccentric and enthusiast, not as ridiculous as we initially thought. 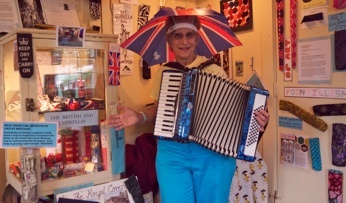 Nancy 3 played her accordion and we joined her in singing the Umbrella Song. My grandsons were fascinated. We all had great fun, do check out Nancy 3’s website. The Movies were Dunkirk and Victoria and Abdul, very different but both thought provoking. Quite a month!